1st Time Test Pass with Jamie Doughty. CONGRATULATIONS to Jamie for passing his driving test today, Fri 12th May 2017 at his first attempt with only 4 Driving faults. 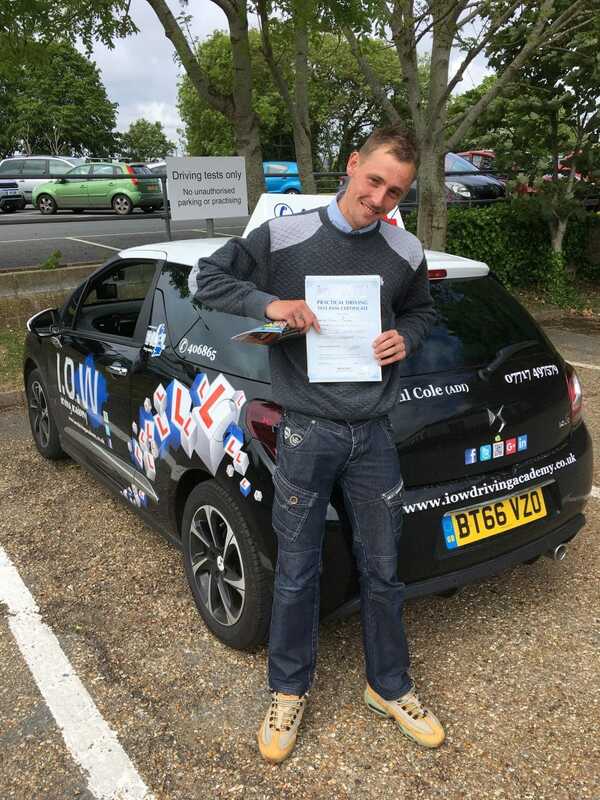 Well Done Jamie, this was a very competent and safe drive. You’ve worked hard to achieve your pass today and it’s well deserved. The I.O.W and Excel Driving Academy is proud to be achieving very high first times pass rates for 2017. We are already beating year on year targets from 2016 which was our record year to date. we achieve these results by having some of the best Instructors providing the highest of training standards. For more information on our lessons call us on 0800 193 7677 and speak to our team.